The No. 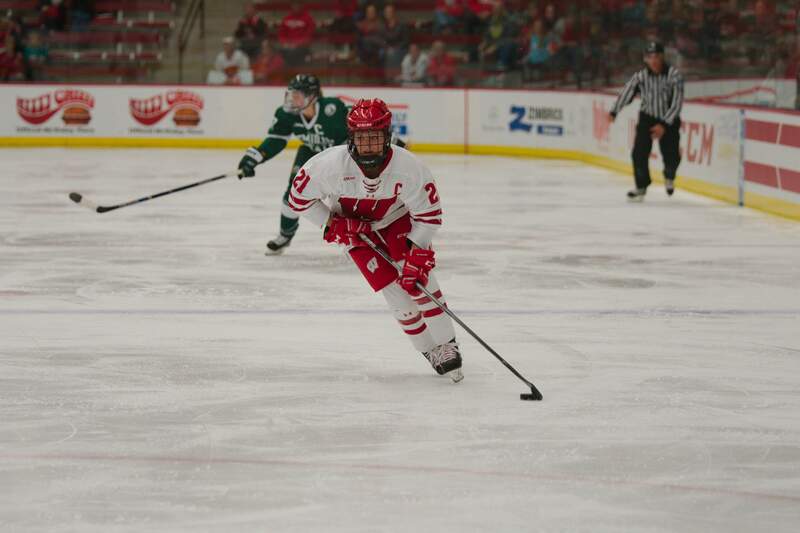 1 Wisconsin women’s hockey team (13-1-0, 7-1-0-0 WCHA) welcomes the Harvard Crimson (2-3-1, 1-3-1 ECAC) to LaBahn Arena this weekend. Junior goalkeeper Kristen Campbell earned her second WCHA Goaltender of the Week award Wednesday after notching a pair of shutouts against Bemidji State last weekend. She enters the weekend with a 191:32 shutout streak, the second-longest of her career. Her four shutouts this season lead the WCHA and are tied for the NCAA lead. 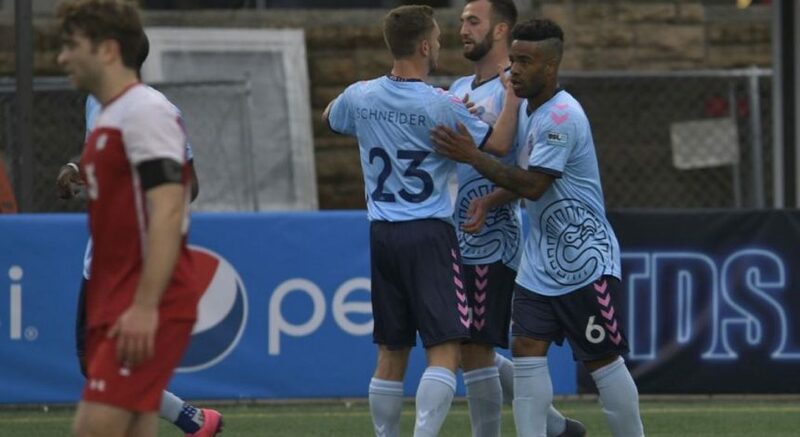 Wisconsin outscored Bemidji State 8–0 over the weekend, with six of their goals coming in the opening frame. The Badgers ability to control games early has contributed to their success this season, as they’ve outscored their opponents 23–6 in the first period and their 23 goals lead the NCAA in first period goals. This weekend’s matchup pits two of college hockey’s most accomplished coaches against each other — Wisconsin’s Mark Johnson and Harvard’s Katey Stone. Johnson, who became the NCAA’s all-time leader in wins, enters the weekend with 472 victories to his name. Stone is not far behind with 465 career wins. For two storied programs, Friday’s matchup marks just the seventh meeting between the two all-time, with the Badgers having won five of the six matchups dating back to 1999. 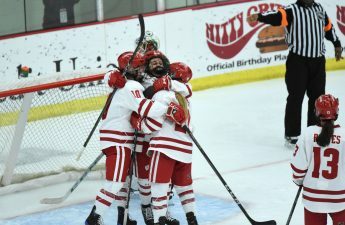 Their most recent meeting came back in 2014 when the Badgers earned their first NCAA playoff victory at LaBahn Arena and defeated the Crimson 2–1 in the NCAA Tournament Quarterfinals. After lighting up Holy Cross 7–3 Tuesday, Harvard comes to Madison with a great deal of confidence. Six different Crimson players posted multi-point efforts Tuesday, giving 15 of their 19 players at least one point this season. So, should the Badgers be worried? Well, sort of. Harvard has some recent success against No. 1 teams. Back in 2015, the Crimson took down then-No. 1 Boston College at home for a major upset in their historic rivalry. On the other hand, Wisconsin has been a force at home this season, outscoring opponents 35–10. Puck drop is set for 7 p.m Friday, while Saturday’s contest will begin at 8 p.m., an hour later than originally scheduled. Both games will be streamed on Big Ten Network Plus (BTN Plus) and FloHockey.